We are looking for the real warrior! Hey! Are you there? So, just be ready to join the real lego tribe and protect your land, the only thing you need is to collect all bonuses and gold and kill all the foes of yours. Do you think it is so easy? Well, let’s check it! You can pick your side and choose your tribe, fight your way through endless waves of enemies. 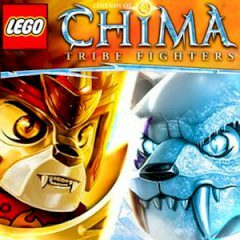 Just fight for the protectors of chima using the lion or crocodile tribe. You can choose distance over power with the Blaster Ranger, or summon magical bolts using the Tribe General. Do not forget to collect all bonuses to unleash devastating special abilities. Complete challenges and smash objects to earn studs to upgrade your characters' power, defense, and special abilities. Build your tribe’s flag and call in additional support to level the playing field. Good luck to you here! Be the champion!